How Can You Lose Weight if You Can’t Move? Exercise is a huge part of weight loss. Many of my patients are in too much pain to exercise. Many people don’t know how to exercise, it’s not a part of their life. It is quite possible today to sleep, eat, drive, work at a desk, and get your entertainment at your computer or on a couch. Getting little to no physical activity in a day is a reality for many people. Whether due to pain or to lifestyle a sedentary life will increase the difficulty of weight loss significantly, in addition to just being unhealthy. If you’re not able to exercise due to pain you will have a difficult road ahead. Recovery is faster with exercise, but if we can get you back to a point that you have less pain then you may be able to return to exercise more quickly. Many chiropractic patients report significant pain reduction within 2 weeks of treatments beginning. So while you may not be back to your best shape you should be able to start doing some exercise by then. Often time lifestyle change is even harder than injury recovery. While your body heals without being asked and doesn’t procrastinate. We humans tend to put things off very well and without being asked or prompted change can be very difficult. There are many strategies to overcome this. You can use mental triggers and develop good habits or routines. For example putting your running shoes on your couch may prompt your brain, or getting a group together to encourage each other and setting specific times and things to do with them. It is also important to exercise by doing things that you like. If you hate the gym, then try hiking or sports. You cannot lose weight without activity. If you can’t think of something ask your local chiropractor. Take the stairs, park at the back of the lot, play with your kids, walk instead of drive, learn to dance! This entry was posted in Chiropractic in General, Weight loss and tagged Exercise, weight on September 29, 2015 by cmnacnud. Here’s the real secret to weight loss. (Within reason) all diets work! If you follow them strictly they will help you lose weight. That is because quite simply if your caloric intake is less than you burn you will lose weight. The problem is that they don’t work for so many people. Some of them are even dangerous. There are many reasons that dieting doesn’t work. Some diets are unsustainable because of what they ask you to eat or not eat. Some require more prep time than you can fit in. Some are so packaged that the food they provide is not healthy. Some provide good food, but cost too much. Some are too hard for you to stick to. Some do help you lose weight, but damage your body in the process, so that you may weigh less, but you feel horrible. The biggest reason that diets fail is because they are not lifestyle changes. Once you lose the weight you stop the diet and start behaving the same way you did before when you gained the weight. There are some programs (weight watchers, simple2lose, etc..) that do have support even after you reach your goal as well as throughout the process. But in order to be healthy you must act healthy. That doesn’t mean just after the Holidays, or for swimwear season. You must adopt a lifestyle that fits the level of health that you want. Chiropractic care can be an ideal solution to your weight problem. Your chiropractor can help you to achieve and maintain your personal best level of health. With chiropractic care you get regular visits with your doctor who can answer questions, monitor your status and recommend changes. He can help you focus on your goals, and help you with setting realistic ones. He can provide you with education and support. Even if you choose to use a program outside of his office he can help you to achieve your best possible results. See your chiropractor about your weight loss and diet plans. This entry was posted in Chiropractic, Chiropractic in General, Nutrition, Weight loss and tagged Chiropractic, danger, diets, help, weight loss on September 22, 2015 by cmnacnud. Most people know that you can gain weight due to health conditions such as depression, hypothyroidism, or even pain, due to the decreased ability to exercise. Some conditions can make us loose weight, but most people don’t want the trade off of illness for weight loss. The best way to combat these causes of weight gain or loss is to stay healthy or to improve your health. One problem with this is that many medications can cause the same symptoms of weight gain or loss. Interestingly enough people who are depressed can become more depressed because of their weight. People with heart problems or diabetes are often told that they need to control their weight to manage their symptoms, but the drugs they are given can increase their weight. The best way to combat weight gain from drugs is not to do drugs. It may be difficult, but there are more healthy ways to combat many of these illnesses. Blood pressure, diabetes, inflammation, allergies, and even back pain can be improved, managed, and in some cases even resolved through natural means such as diet and exercise. In fact the number one most effective treatment for many of these conditions is diet and exercise. Ironically diet and exercise will also help you lose weight. This is not to say that you won’t ever need medication, or that diet and exercise are the cure for everything, but when it comes to weight gain the best thing to do is to get and keep yourself as healthy as possible with as few medical interventions as possible. 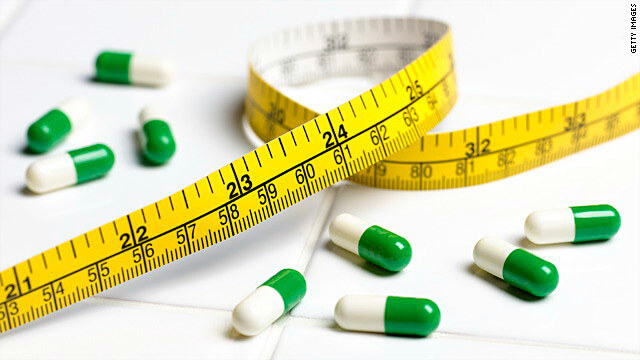 If you are trying to loose weight and having difficulty you may want to look at your medications to see if weight gain is a side effect. Then discuss changing or getting off of your prescription with your doctor. Let them know that you are trying to lose weight and improve your health. They should be happy to help you with such an endeavor. This entry was posted in Weight loss and tagged Drugs, weight, weight loss on July 14, 2015 by cmnacnud.